As I think about the books world today, with all of the digital tools and new media that have been incorporated into the reader’s experience, it’s hard to believe that much of Generation Z probably didn’t or won’t grow up with books like “Maniac Magee,” “Are You There, God? It’s Me, Margaret” and “The Mouse and the Motorcycle.” Instead, they’ve got “The Diary of a Wimpy Kid” series and “Miss Peregrine’s Home For Peculiar Children” – both of which are awesome, by the way, just not what I grew up with. These are books that taught me about friendship, love and magic. They’re books that were my best friends, that made me believe that I can do anything even at a single-digit age. They’re books that made me grow up to be a nerdy fangirl – the one who spends almost as much time shipping fiction couples (as far as I’m concerned, Jo and Laurie were meant to be) as she does putting effort into her own relationships. They’re oldies but goodies. Such a classic. 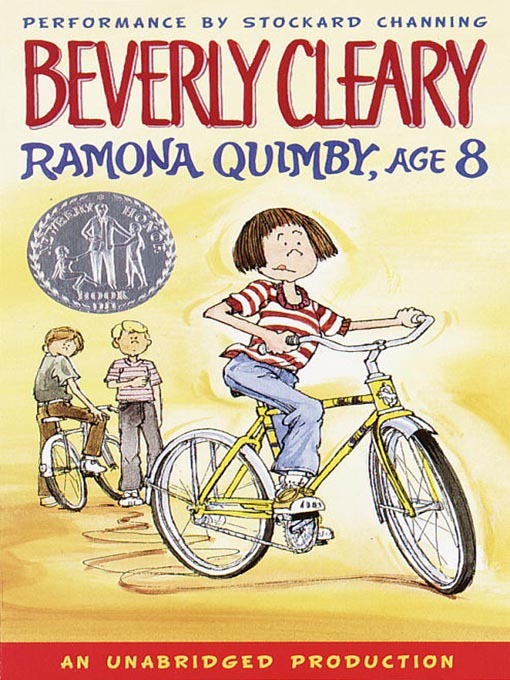 Everyone loves Ramona Quimby – she’s spunky, relatable and downright smart for her age. I still remember specific details and scenes from this book that I would read over and over again, like the chapter where Ramona and her sister Beezus cook dinner for their parents, or the gut-wrenching boiled egg fiasco (I totally felt for Ramona then). In a way, this book and all the other Ramona stories remind me of Disney movies in that there is so much more to the story than meets the young eye. We’re there with Ramona as she goes through some of the most vulnerable stages of her life – how her family struggles with poverty and unemployment, how she’s embarrassed in front of the entire school, how the relationship dynamics with her sister and her teacher change over time and more. I remember loving this series so much (even more than the “Boxcar Children” series, which is saying something) that I tried to write a similar series about a group of friends, outlining book titles and summaries in the same writing style the way young writers do when they learn about the craft by mimicking their role models. “The Babysitter’s Club” series taught me the most about characterization than almost any other book I read as a child. My favorite babysitter from the series was Stacey McGill because she lived with diabetes and struggled with telling her friends, maintaining a strict diet and trying to seem “normal” in school. Even though my health problems aren’t related to diabetes at all, I knew what it felt like to be alienated and misunderstood by friends and teachers who just didn’t “get” it. Stacey reminded me often that it’s okay to be different, and that a disability or illness doesn’t have to define you. Pretty much nobody I’ve mentioned this book to has ever heard of it before. 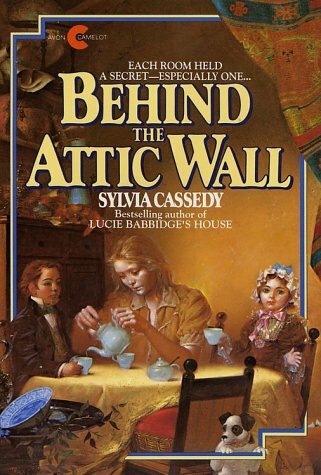 I’m surprised, because “Behind the Attic Wall” deserves so much more attention and praise that it does. In fact, besides “A Wrinkle in Time,” this book might top all the others as my favorite children’s novel of all time. It’s difficult to pinpoint what genre or category this book actually falls under, but those tend to be some of my favorite (think: “The Lovely Bones” by Alice Sebold”). “Behind the Attic Wall” is coming-of-age, as a young girl named Maggie learns how to open herself up and finds a family in the most unlikely of places, but you wouldn’t call it young adult. There are talking China dolls (that may or may not even be real), but it’s not completely fantasy or magical realism. There’s mystery, fictional history and a hint of paranormal, even. I just love this book, and always have. I hope I’ve puzzled you enough so that you’ll seek it out. Fun fact: One of my most prized possessions is Fleur Delacour’s wand, which I bought at Ollivander’s in Harry Potter World (unrealistic, because Fleur’s wand is sophisticated and special and wouldn’t just be lying around waiting to bought in Diagon Alley hello). I could go on and on (and on) about Harry Potter, but I’ll keep this short and sweet (or try to, at least. Update: I failed.) My first memory of ever reading “Harry Potter” is of sitting on a chair in the library at Edward Devotion Primary School – not at a table or in some designated reading area, but by the actual book shelves. I also distinctly remember carrying one of the “Harry Potter” books back up to its original book shelf after I’d finished reading it. Like so many other ’90s kids, I grew up with Harry Potter and will always be a fangirl. It doesn’t matter that the movies are all out and J.K. finished writing the series long ago. I still enjoy the books, go to Harry Potter World, visit Pottermore online and read HP fanfiction all the time. My love for that series and those characters will never, ever die. I don’t know if this book mailing program was headed by Scholastic or some other publishing giant, but nothing made me more excited than to have my package of three or six books wrapped in plastic dumped on my desk at the end of the school day. This is how I came upon “Tales of a Fourth Grade Nothing” in – you guessed it – fourth grade. It came in a package of books that were tailored specifically toward fourth graders; the other two books were “Fourth Grade Rats” and “Fourth Grade Weirdo” (both were very good). Apart from wanting to get some new books, “Tales of a Fourth Grade Nothing” was also a book assignment that we were required to read together in class. I still remember my English teacher, Mrs. Grimes, reading in the voices of Peter Hatcher and Fudge. Anyone with siblings or younger cousins can relate to this book. Anyone who loves a good laugh will appreciate Judy Blume’s wit and remarkable storytelling. Anyone who has ever had a family argument or taken care of a young kid will feel for Peter’s frustration with his attention-seeking younger brother, Fudge. However, if you have a beloved pet turtle, erm, you may not (read it and you’ll see why). What books influenced you the most as a child? What was the first book that made you cry? (Mine was “A Wrinkle in Time,” to nobody’s surprise.) Big thanks to Sharon Gibbs for requesting me to blog about my favorite books growing up! It’s been a long time since I was a kid. The books that I read the most and I guess influenced me the most were the Tom Swift Jr series and the Hardy Boys. I had the complete sets of both and read them all. Awesome, Arlee! I haven’t heard of the Tom Swift Jr. series before, but I do know of the Hardy Boys! My next door neighbors used to be a family of six, and four of them were young boys – I used to call them the “Hardy Boys” when I was growing up because they always seemed to be getting themselves into mischief lol. I finally made it back to your blog. 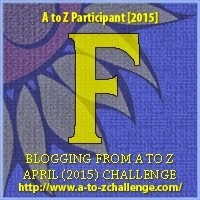 So much to visit during A to Z. I love your posts. I was born in 56 so most of these books were not available growing up. However, I read quite a few as a teacher, and most were read for my own pleasure. My favorite book to teach was “Island of the Blue Dolphin” by Scott O’Dell. Every time I read it I found new things I had not noticed before. I bet I read the book over twenty times. I still remember how blown away my best friend was when I said I read Behind the Attic Wall in two days. I was a fast, advanced reader even in elementary school. I also loved Judy Blume and Beverly Cleary’s books, though I stopped reading BSC somewhere in the early 30s, before the ghostwriters had totally taken over. It really upsets me to learn some of these books have been “updated” for a new generation. It just felt wrong to read about Peter’s new Christmas list, with the genuine 1980 items replaced by modern stuff. OMG OMG I’m so glad there’s someone else out there who understands and appreciates how amazing “Behind the Attic Wall” is! Yes, it’s a very easy to read book, but there’s a lot of sub-text and meaning behind the story. It’s deeper than you think at first. And yeah, the newer BSC books aren’t as good as the original ones in my opinion…they’re still good, but they changed so much that I kind of became disinterested. (Mainly after Mallory, Dawn and Jessi were interested – though they’re all right characters, too.) I love the earlier books, though! Welcome, Pempi! I love your name – it’s so unique and fun to say. It’s nice to meet you, too! I’m glad you like my list of books. :) Hope you’re enjoying the challenge so far! I also read Beverly Cleary and the Baby-Sitter’s Club books (especially those!) when I was growing up. Besides our common reads, I also loved the American Girl books, Nancy Drew (even if it was a little grown up for me), K.A. Applegate’s Animorphs series, and Scott O’Dell’s YA historical fiction novels. Hi Sara! *hugs* I remember that you’re an avid HP fan…I’ve seen the series mentioned tons of times in your blog posts about books ;) You should totally visit Harry Potter World; I went in 2011 and it was amazing! Lots of time spent waiting in lines, but it was always worth it. And whaaaaaat I didn’t know there’s a travelling HP exhibit! That’s so cool! I’m fangirling right now lol. Also I’m really excited to know you read the American Girl books, too! They almost made my list, particularly Addie Walker’s stories.